For those with old fittings in their home such as their patio door, they may find their function has depleted over time. From tired looking frames to a door which sticks on opening or lets in a draught, there are plenty of reasons you may be looking to update your patio door. As the gateway to your outdoor spaces, it’s important to choose a door which is right for both the space, flow between inside and out, as well as creating the ideal look for your home. 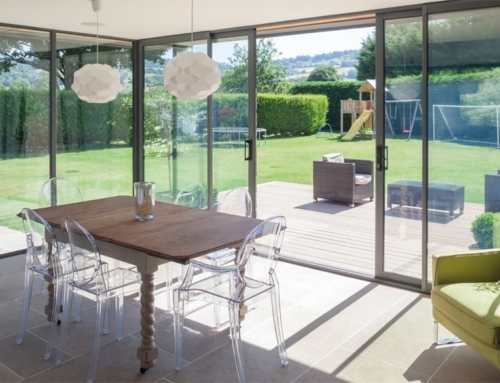 French doors and sliding doors are two of the most popular options, so let’s take a look at these two products compared. French doors consist of two matching panels which open up together or singularly via a handle. They can even be part of a series of glazing elements, but only two doors will open and the rest will be fixed. Traditionally, sliding doors have one fixed pane and another sliding element moves along a track within the lower door frame. However, modern products often consist of more than one sliding pane if the opening is large. 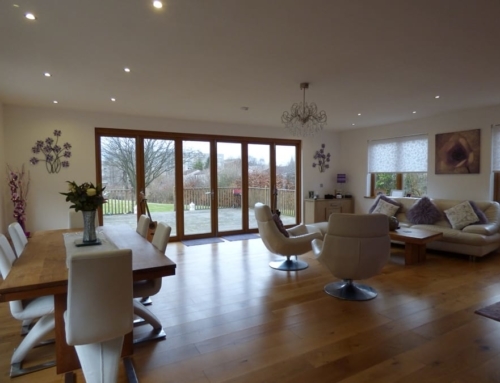 French doors are popular for creating an elegant look in a room with a range of glazing styles on offer. It’s easy to maximise light coming into the space with large, clear glazing elements or you may prefer a classic appearance via the use of Georgian bars or patterned glazing. Old sliding doors can look outdated in a property, but contemporary designs are now available which add style to a room in bucketloads. Where minimal sightlines are incorporated, it’s possible to achieve a glass wall effect, letting natural light pour in while creating uninterrupted, panoramic views. French doors are ideal where openings are narrower, taking up less space along the wall. That said, inwardly opening doors will use more interior floor space than sliding doors, so outwardly opening doors are the better option if you have a large patio area for French doors to open fully. Sliding doors hold some of the largest glazing elements in the industry and can be made to measure so that they fit your spaces perfectly. This is the best choice if your opening space is wide, with panels taking up minimal room when sliding along their tracks. French doors are some of the easiest products to function, simply opening up onto your patio or keeping shut to retain their sophisticated look. High security locking options are available, and you can keep them secure via the flip of a handle and the lock of a key. 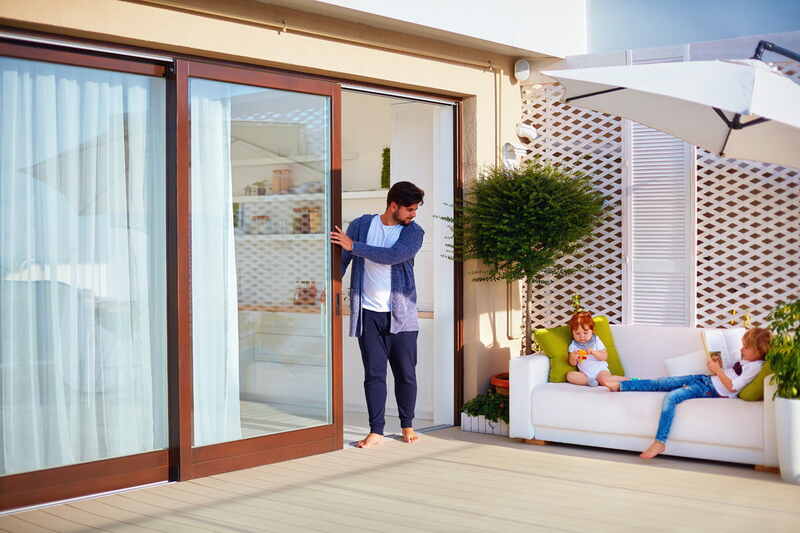 If selecting high quality sliding doors such as those in the PremiLine PRO collection, you can expect a range of features for your new patio doors. This includes a slick opening operation, a PAS24 certified hidden locking system and over 40 rich colours to choose from. Need new patio or sliding doors? 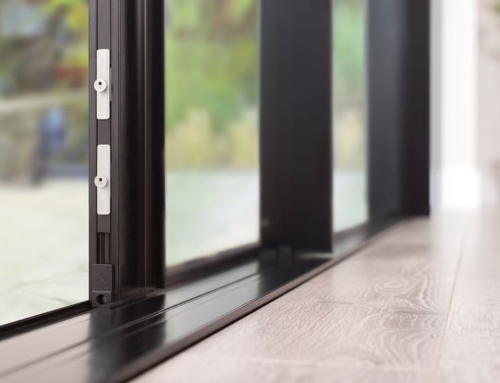 If you’re considering replacing your patio doors, get in touch with the Your Price Windows team to talk through your options. We offer competitive pricing and a free, no obligation quote, whether you live in Haywards Heath, Hertfordshire, Twickenham or other locations around London and the home counties. Call now on 0208 640 0380 to speak to our team.